On any given day in the Richmond Region, there are between 700 and 1,000 people who are homeless, according to the January and July 2013 Point In Time (PIT) Counts of individuals experiencing homelessness. Of that number, about 80 percent are single adults without children and about 10 percent are literally living on the streets, in camps, under bridges, in vehicles and on park benches. These “unsheltered” individuals are the most vulnerable, the ones most likely to die if they remain on the streets. Virginia Supportive Housing announced that Allison Bogdanović would be its new executive director. Richmond, VA – October 24, 2013 – Virginia Supportive Housing (VSH) is proud to announce today that Allison Bogdanović has been named Executive Director to lead the organization in its mission to provide a permanent solution to homelessness in the Commonwealth of Virginia. She will succeed Alice Tousignant, who is retiring effective January 1, 2014. 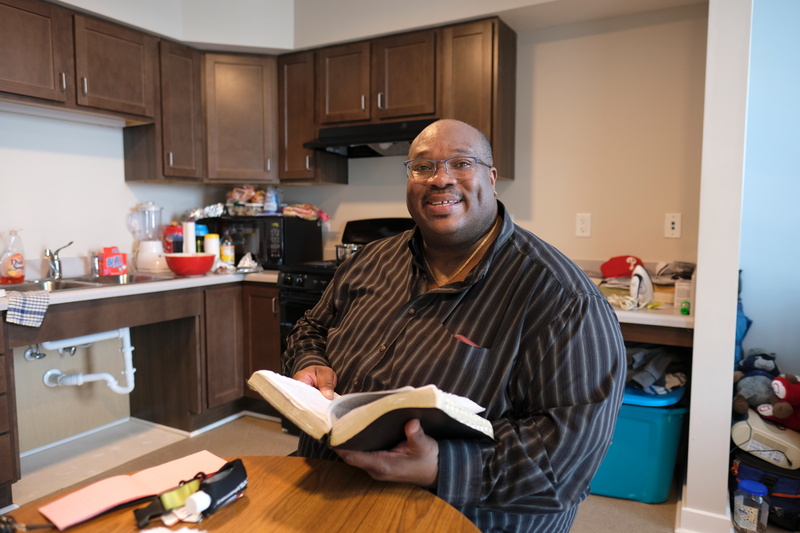 Sixty people — among them veterans, former accountants, police officers, caretakers — have homes in a new, energy-efficient apartment building in Chesapeake because governments, businesses and a nonprofit worked together to help them find stability.